NH chairman Alfredo Fernández Agras thanked María Grecna, Paul Johnson and José Maria Sagardoy for their excellent work, independent professional contribution and commitment to best practices on the Board. The three directors have been decisive in the positive performance and excellent results achieved by the Company during what has been the most important year in its recent history, all to the benefit of our shareholders" he said. Fernández Agras also highlighted the new directors’ strong bond with, and knowledge of the Company. He noted that Kosin Chantikul, a member of Minor Hotels executive committee, was one of those most closely involved in the integration of NH in the Thai group. He said Beatriz Puente is one of the most respected professionals in the sector and that her incorporation to the Board underlines Minor’s commitment to the NH management team. Today’s Board meeting has also agreed to convene the Annual General Shareholders Meeting for 13 May 2019. Among other issues, in line with a previous commitment, a dividend distribution of 15 cents gross per share, payable June 14, will be submitted for approval. At the AGM the Board appointments announced today will also be submitted for approval, as well as the establishment of the number of Board members at the current level of nine. NH Hotel Group is a consolidated multinational player and a leading urban hotel operator in Europe and America, where it operates over 350 hotels. 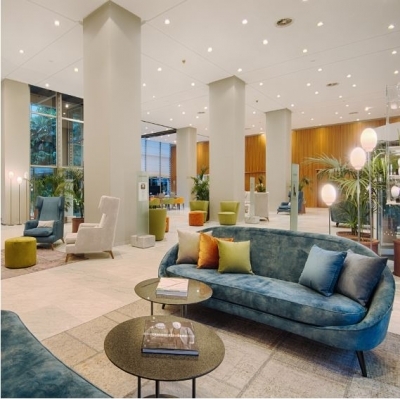 Since 2019, the Company works with Minor Hotels in the integration of their hotel brands under a single corporate umbrella with presence in over 50 countries worldwide. Together, both Groups have a portfolio of over 500 hotels articulated around eight brands: NH Hotels, NH Collection, nhow, Tivoli, Anantara, Avani, Elewana and Oaks - that comprise a broad and diverse range of hotel propositions connected to the needs and desires of today’s global travelers.